LOGAN — Police have arrested a 41-year-old Hyrum man suspected of killing a California woman, after her body was found about eight-miles up Blacksmith Fork Canyon. Stacy “Rob” Willis was taken into custody Friday night on multiple offenses, including aggravated murder. 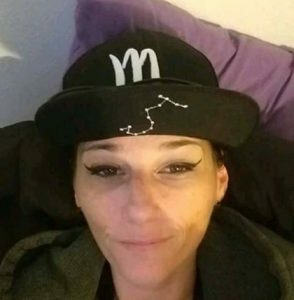 Logan City Police Chief Gary Jensen said multiple law enforcement agencies in the valley had been looking for Merrillee Cox-Lafferty since her family reported her missing on August 18. On Friday, investigators got a break in the case that led search and rescue teams to her body. Cox-Lafferty had traveled to the area to help a friend move and meet up with Willis. Investigators believe she was last seen in Logan by several witnesses, during an argument with the suspect. Jensen explained that police became suspicious when Cox-Lafferty was not seen again after the fight. Her car later was found in the Boise, Idaho area and her dog was picked up by animal control officers. Not only had she disappeared but investigators later learned that she stopped posting anything on social media, after previously being very active in letting people know what she was doing. Friday, after discovering Cox-Lafferty’s body, investigators decided they had enough evidence to arrest Willis. He reportedly refused to speak to investigators and is being held on $48,310 bail. Jensen said investigators believe Cox-Lafferty’s body had been in the canyon since she was last seen. Because of the ongoing investigation, he could not give specific details on how she was killed, pending an autopsy by the State Medical Examiner’s Office. Willis was recently released from prison, after pleading guilty to shooting at a couple outside the North Logan Walmart in July 2014. He is expected to be arraigned in court next week.